A Garden Irrigation System and Planting Grid, in one! 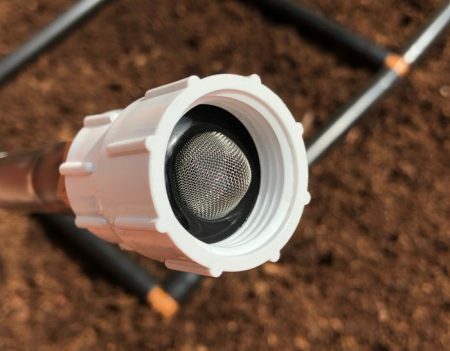 From drip irrigation to full stream watering, The Garden Grid™ provides fully-adjustable water flow and equal square planting sections, allowing you to plant evenly, efficiently, and simply. Can be used at ground level or in a raised garden bed! No tools required – quick 4 piece assembly, lay it in your garden and start planting! 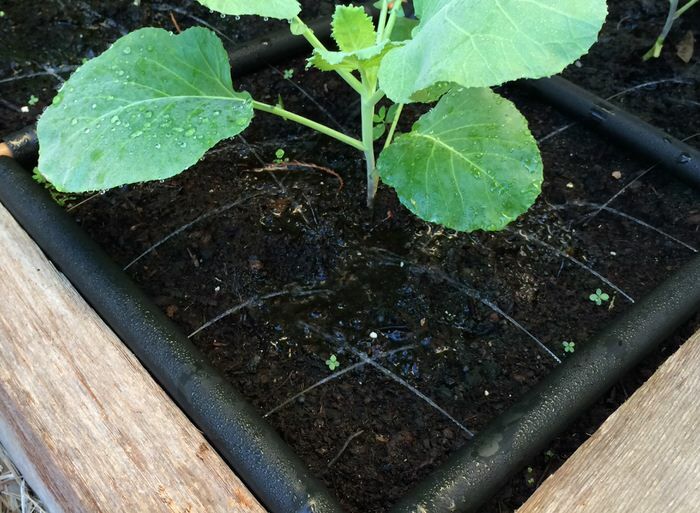 Although I thoroughly read descriptions I was dissapointed that when I ordered a 3×5 grid that it’s really only 33×55 so it didn’t completely cover the area of my raised bed. I solved that issue by putting tiny holes in the outer lines and now everything gets wet. 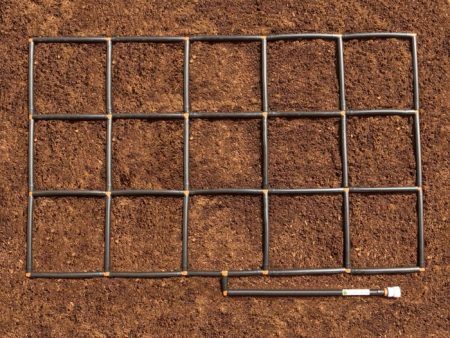 Also, I wasn’t aware before I ordered the grid that the soil in a raised bed needs to be level with the bed’s edges. My raised bed was already established so I couldn’t add new soil. (Plants have already sprouted and would be buried too deep.) 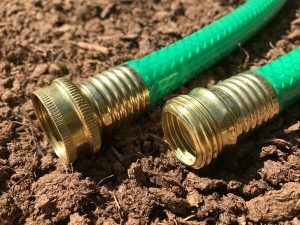 I’m well versed in irrigation systems and made it work with fittings that I had on hand from the hardware store but this could be very frustrating for people that aren’t aware of what’s out there to help with solutions. Overall I like the system because it delivers a pretty even amount of water throughout. Thank you for your feedback! 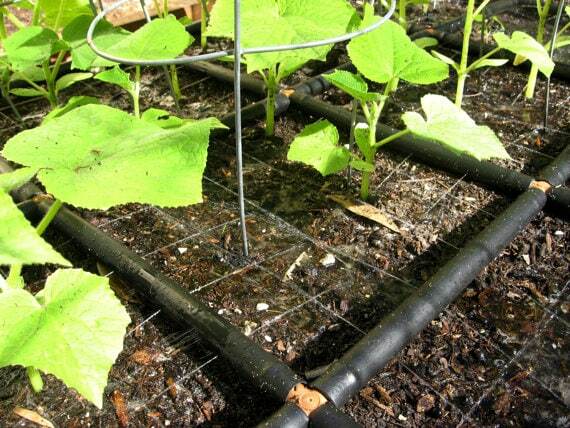 We’re sorry the dimensions for our 3×5 Garden Grid™ weren’t easier to find. 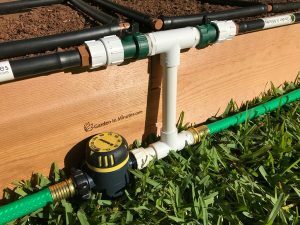 We design all of our Garden Grid™ watering systems to fit the interior dimensions of our Garden Beds as well as the interior dimensions of other common garden beds. 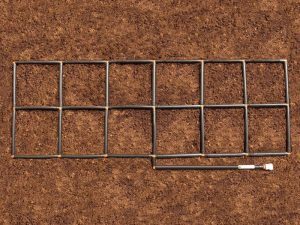 Most garden beds have exterior dimensions in whole feet (sometimes slightly less for shipping purposes) and interior dimensions that are smaller, of course due to the thickness of the garden bed board. 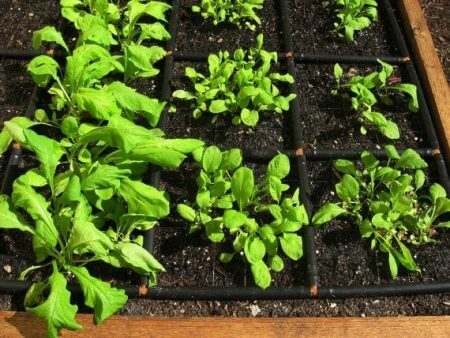 It sounds like you were able to add some of your own ingenuity to adapt to your specific garden layout though! Thank you again for the feedback and hope your garden turns out wonderfully! best addition to the green house yet..great idea, simple design. easy to put together. 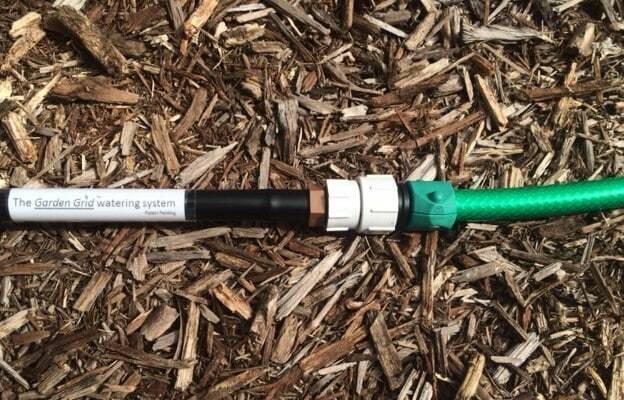 couldn’t ask for a better watering system.. thank you so much!!! Thank you Aaron! That’s fantastic to hear. Works great. 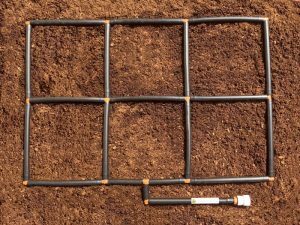 Only issue that I had — similar to previous reviewer — is that with a raised bed in which soil surface level is lower than the top of the raised bed, I had to do a bit of extra engineering (e.g. drilling holes through side panel of raised bed) in order to set up the grid properly. 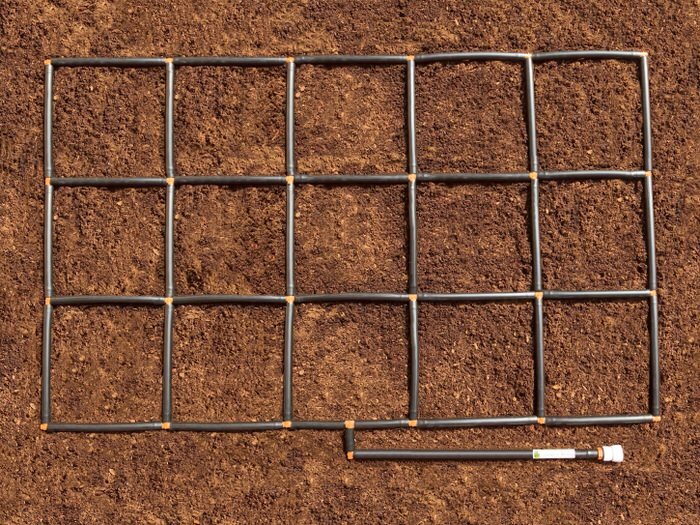 Further, the 3×5 sizing does leave a bit of space (e.g 10-15% of true 3 x 5 raised bed) outside of the grid area. 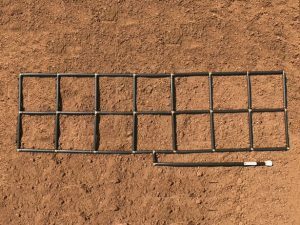 I solved this problem by making my own holes on the outside part of the hoses that run along the outside of the grid, allowing water to trickle out to areas of the bed not contained within the grid. This has seemed to work fairly well thus far. Very convenient, and garden is growing great. Would love ability to buy various pieces and create my own custom grid shapes / designs. Thank you for the feedback! Glad the Garden Grid works well and is convenient for you! I’m sorry the overall dimensions weren’t easier to find in the product details – we’ll be sure to make them more noticeable! 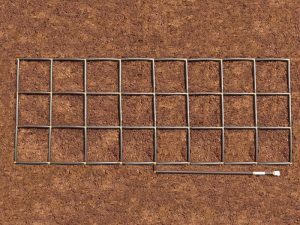 We design the Garden Grid to fit the interior dimensions of most garden beds, so they account for garden bed board thickness. 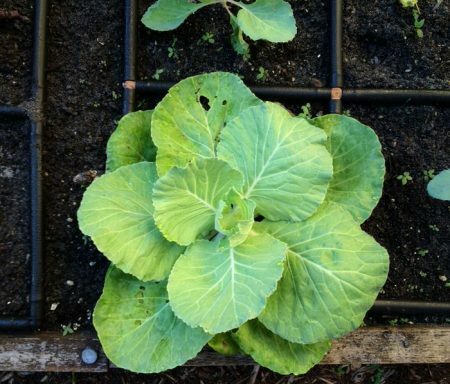 A 3ft by 5ft garden bed made with say 1″ boards would leave an interior planting dimension of 34″ X 58″ giving a little wiggle room for the 33″x55″ Garden Grid to fit. Thank you again for the feedback. Hope your garden turns out wonderfully!